Beach time for this baby girl! 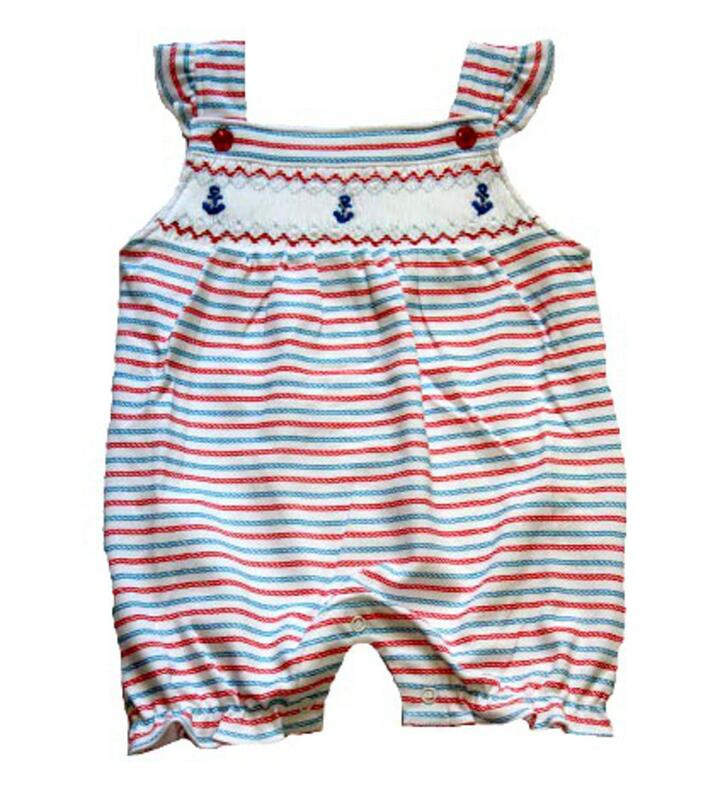 This nautical romper is adorable with the anchors on the smocking and the red, and blue rope looking stripes. This would also be a perfect Fourth of July outfit! 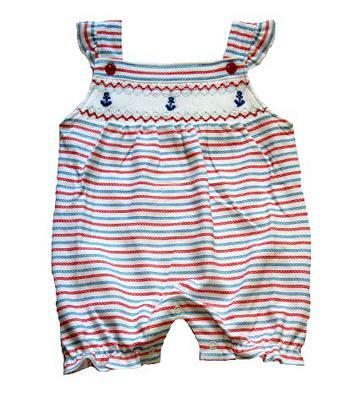 This is 100% peruvian pima cotton which makes it extra soft for your newborns.